The Network for Research in Jewish Education (NRJE) will host its 30th Annual Conference June 14-16, 2016 at Towson University, in Maryland. Held in collaboration with the Association for the Social Scientific Study of Jewry, the Conference brings together researchers, practitioners, and policy makers in research-based conversations to address contemporary issues, pressing concerns, and new opportunities in Jewish education and the communities in which it takes place. During the Conference, CASJE is pleased to organize the third annual Emerging Scholars Mentoring Seminar, in conjunction with NRJE and the Mandel Center for Studies in Jewish Education. The Seminar is an opportunity for mentoring, research, workshopping and discussion between senior and emerging scholars in the field. Participants will hear from veteran researchers in the field and get to know each other and senior colleagues in small group settings. Sessions will include presentations and discussions on Productive Habits of Highly Respected Researchers; Diverse Modes of Disseminating Research Findings in Jewish Education; and Individual Consultations with Peers and Mentors on Current Research and Methodologies. 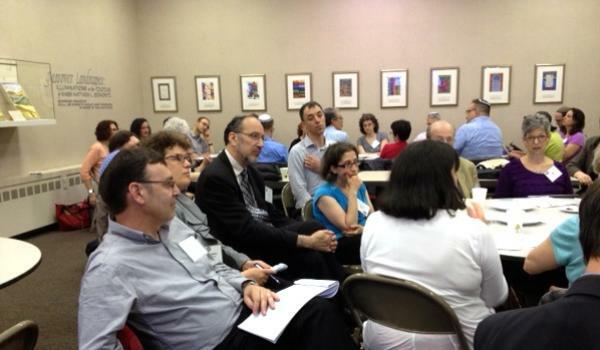 In addition, emerging and veteran scholars will have an opportunity to collaborate on a brainstorming exercise—a research think tank—on the subject of “Jewish Peoplehood and Jewish Education.” This workshop-style activity is designed to generate new ways of thinking about and investigating hot-button issues in the contemporary Jewish education field. There also will be time to reflect on the excercise itself and the different perspectives of both emerging and veteran researchers.